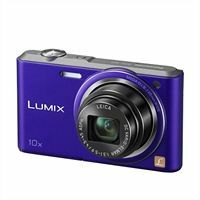 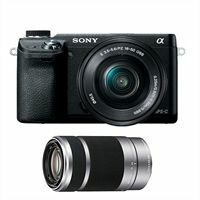 Capture that crucial moment with ultra-fast autofocusing, 179 AF points and 6 fps. 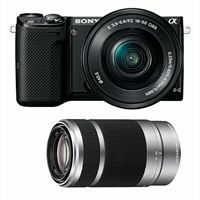 This lightweight camera delivers 24.3MP of detail even in low light, and you can share photos right to your smartphone through built-in Wi-Fi. 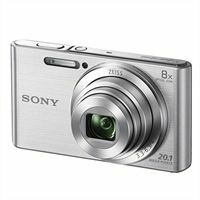 Record Full HD Video or flip over the 180 tilt screen for perfectly framed selfies. 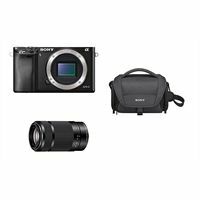 Enclosure Colour: Black Product Type: Digital camera - 1080p - mirrorless system Optical Zoom: 3 x Optical Sensor Type: Exmor APS HD CMOS Digital Zoom: 4 x Digital Video Format: AVCHD, H.264, XAVC S Effective Sensor Resolution: 24, 300, 000 pixels Optical Sensor Size: 15.6 x 23.5mm Auto Focus: TTL contrast and phase detection Image Stabiliser: Optical (Steady Shot) Total Pixels: 24, 700, 000 pixels Wireless Interface: IEEE 802.11b/g/n, NFC (Near Field Communication) AE/AF Control: Eye detection AF, Predictive AI Servo AF Sensor Resolution: 24.3 Megapixel Sensor Features: Anti-Dust coating Field of View Crop Factor: 1.5 Sensor Dust Reduction: Yes Face . 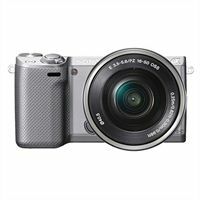 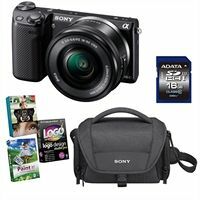 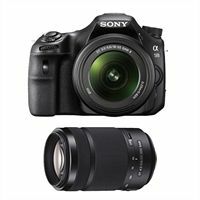 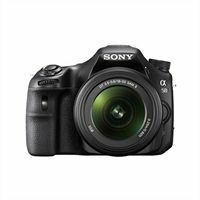 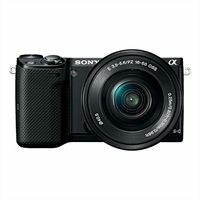 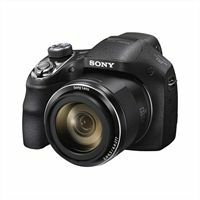 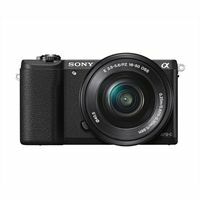 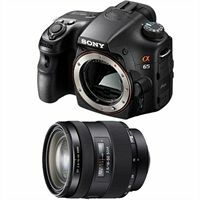 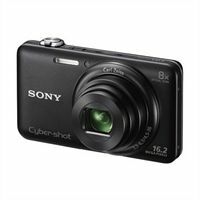 . .
Sony NEX-6 16.1This model features of 16.1MP APS-C sensor, up to 10 fps shooting, Fast Hybrid AF with phase detection, AVCHD 1080 60p/60i/24p HD movies, XGA OLED electronic viewfinder, built-in Wi-Fi, Quick Navi controls, E-mount 16-50mm lens. 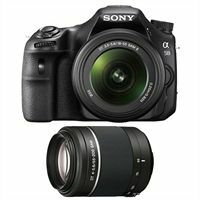 SEL55210 55-210mm F4.5-6.3 LensGet an amazingly high quality E-mount zoom lens with Optical SteadyShot image stabilization impeccable for taking along to your next sports game or on adventure in the great outdoors.